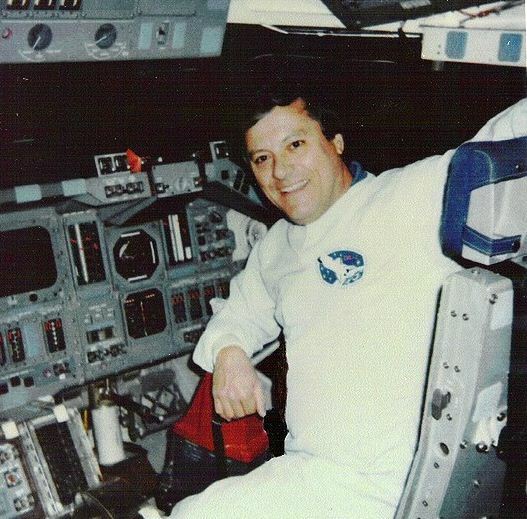 Clark C. McClelland is a man who claimed in 2008 that he was a retired spacecraft operator (ScO) with NASA’s Shuttle Fleet at the Kennedy Space Center in Florida from 1958 to 1992. McClelland claimed that he was involved in more than 650 NASA missions, including the Mercury program, Apollo missions, launching of the International Space Station (ISS) and the Space Shuttle program. I, Clark C. McClelland, former SCO, Space Shuttle Fleet, personally observed an 8 to 9 foot tall ET on my 27 inch video monitors while on duty in the Kennedy Space Center, Launch Control Center (LCC). The ET was standing upright in the Space Shuttle Payload Bay having a discussion with TWO tethered US NASA Astronauts. I also observed on my monitors, the spacecraft of the ET as it was in a stabilized, safe orbit to the rear of the Space Shuttle main engine pods. I observed this incident for about one minute and seven seconds. Plenty of time to memorize all that I was observing. IT WAS AN ET and Alien Star Ship! To all who have faith in ME, I present you with this artists concept (See bellow 1:37-2:04) of what I saw many years ago at KSC. It was a tall creature, about 8 to 9 feet tall. It had a humanoid body shape with two arms, two hands, two legs, two feet, a slim torso and a normal size head for its size. The color of its skin I could not determine. It appeared to have two what appeared to be eyes, but it was not detailed enough for any other comments. For instance, in January last year, online UFO hunters claimed that NASA’s live feed showed a UFO docked with the ISS. A YouTube video showing the alleged event went viral online as evidence that the ISS was being used as a secret rendezvous between the U.S. government and alien visitors.